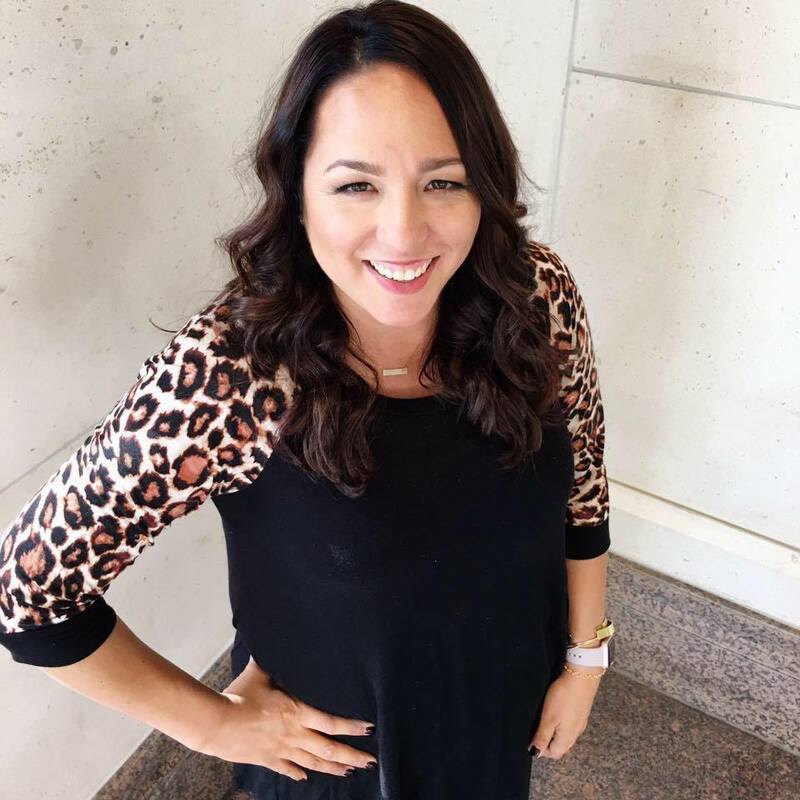 Sometimes I feel like a member of an AA meeting: Hello, my name’s Danielle from Busy Mom’s Helper, and I love easy crafts! I’m sure you’re laughing right now, but I’m totally serious…I really hate crafts that are complicated or take forever! 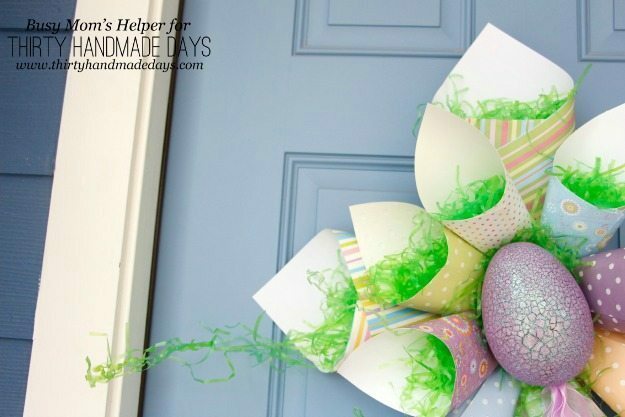 Lucky for me, I’m able to pull of all sorts of projects without spending a ton of time, effort, or money…like with this adorable Easter Paper Cone Wreath! 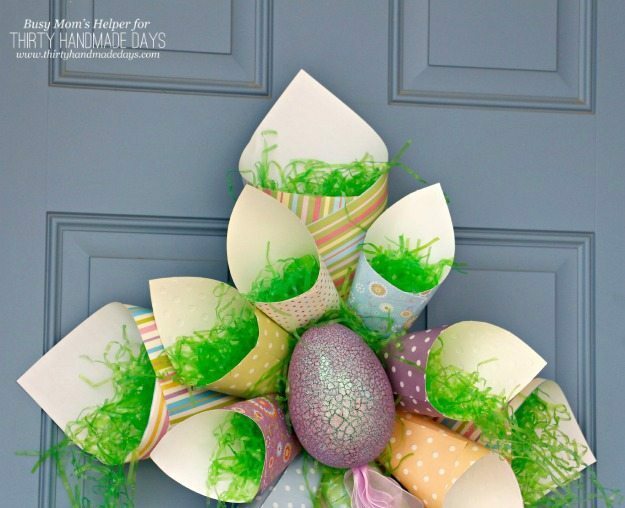 I love cute wreaths, don’t you? I’m not much for decorating my porch all fancy for the holidays, but hanging something fun on my door takes it from BLAH to WOW just like that. Woot woot! 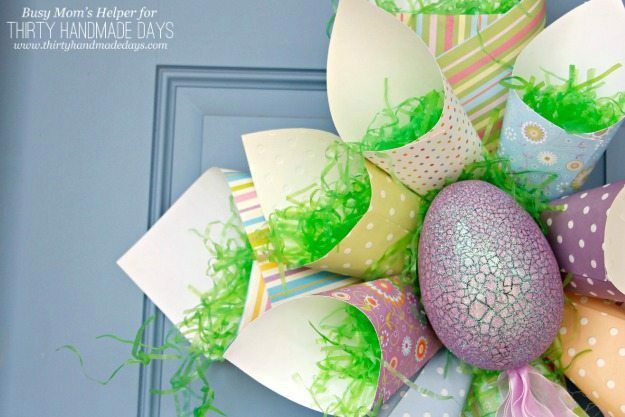 I’ll be honest, Easter is a challenging holiday for me to decorate for because I don’t have a ton of supplies on-hand that specifically fit with it. Bunnies? Not really. Chocolate? Like that’s going to last long in my house! Fortunately I found a big, sparkly foam-ish egg in with the kids’ empty-egg stash. 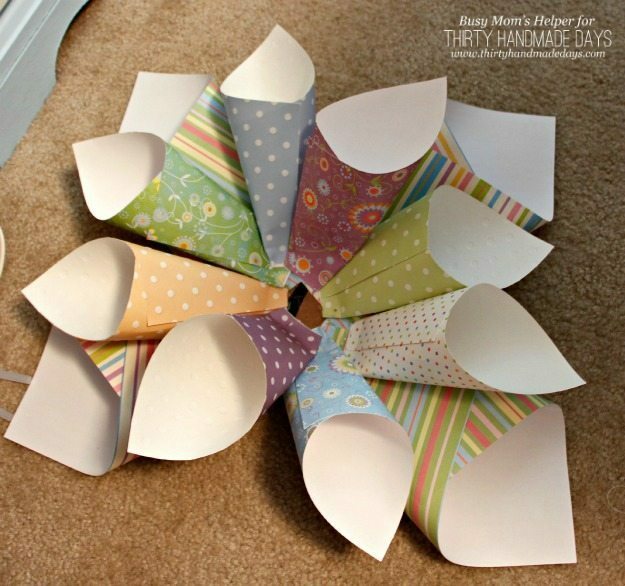 That, mixed with some bright pretty paper and we’ve got a winner! 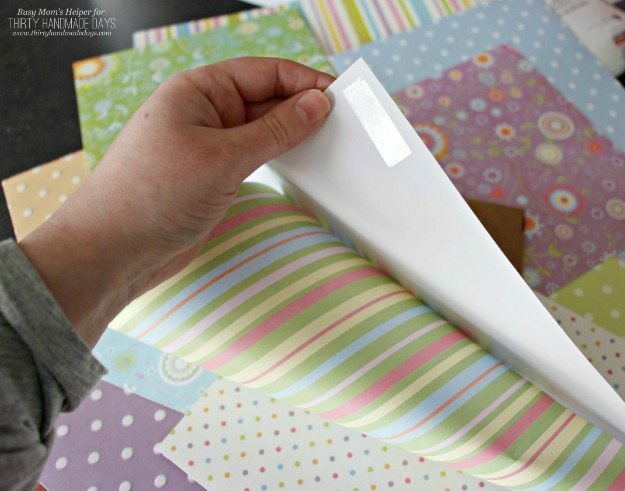 Figure out the pattern you want before you start taping or glueing anything. 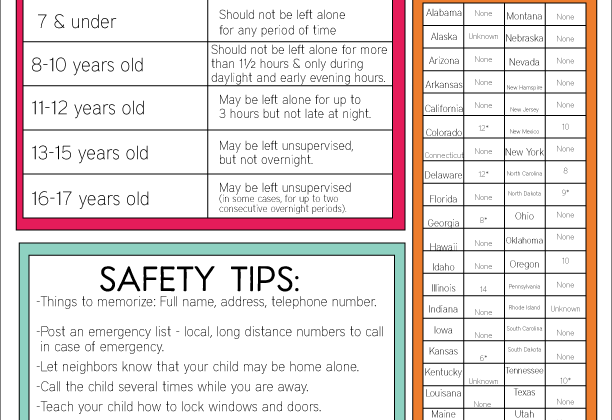 I used big 12×12 pieces of paper for my four corners, then smaller 6×6 sheets for inside. I wanted mine fuller, so used 6 small pieces. 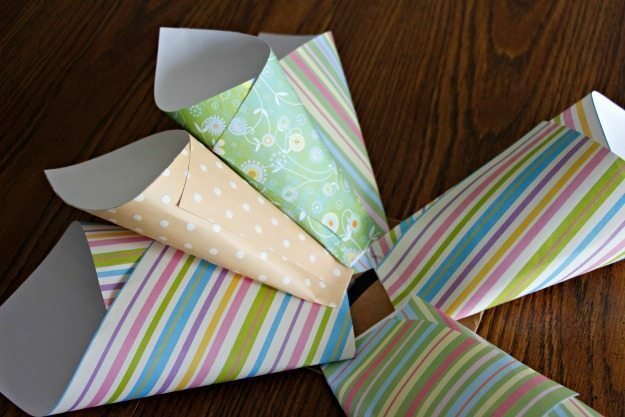 Start with your big corner pieces. 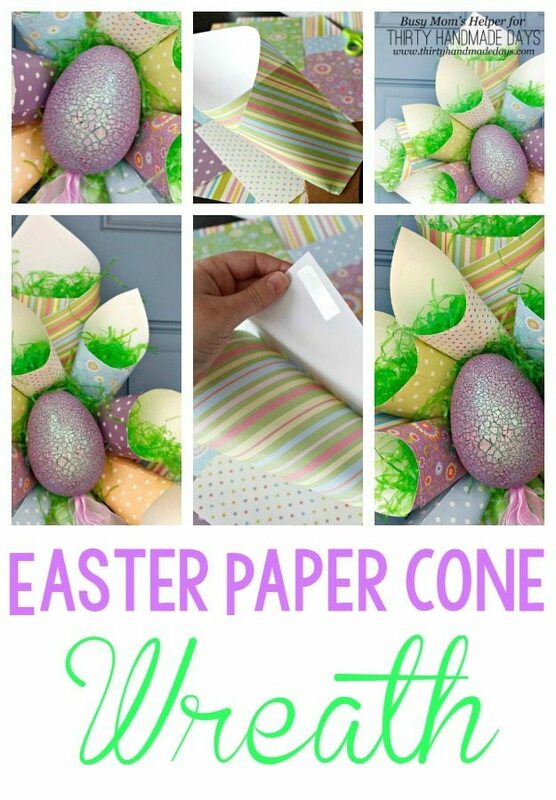 Roll them into a cone, using double-sided tape to secure. Cut the end off straight. Hot glue onto your cardboard piece, then repeat for the other 3 corners. 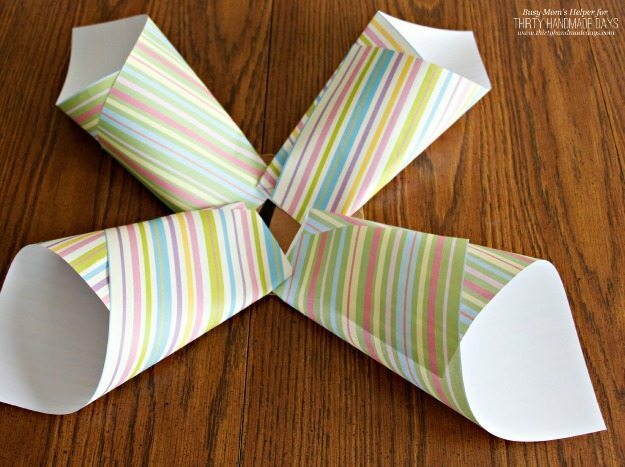 Do the same thing with your smaller pieces of paper, hot gluing them between the corner cones. When all the cones are done, hot glue inside each cone and stuff in some fake grass. 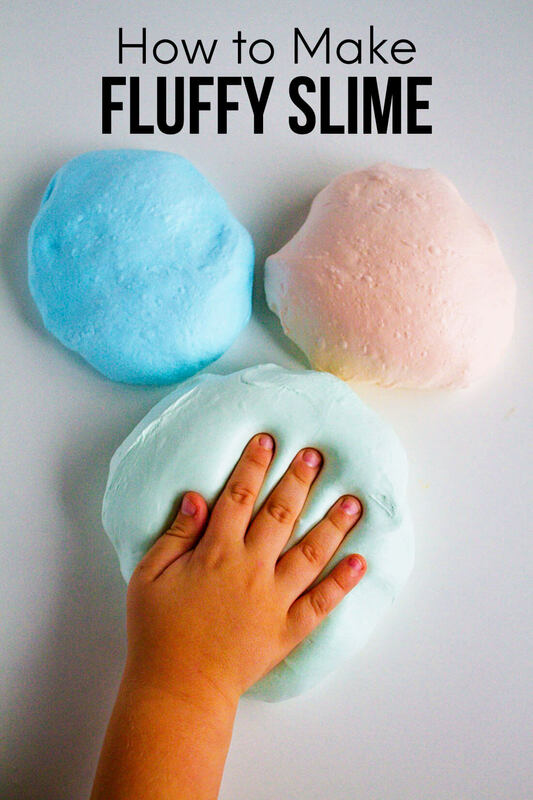 It falls out easily if it’s not glued, so don’t skimp that step. 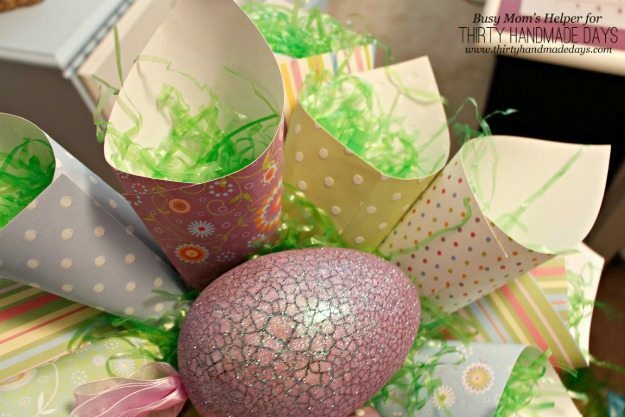 Also glue some fake grass in the center, for the egg/centerpiece to rest on. 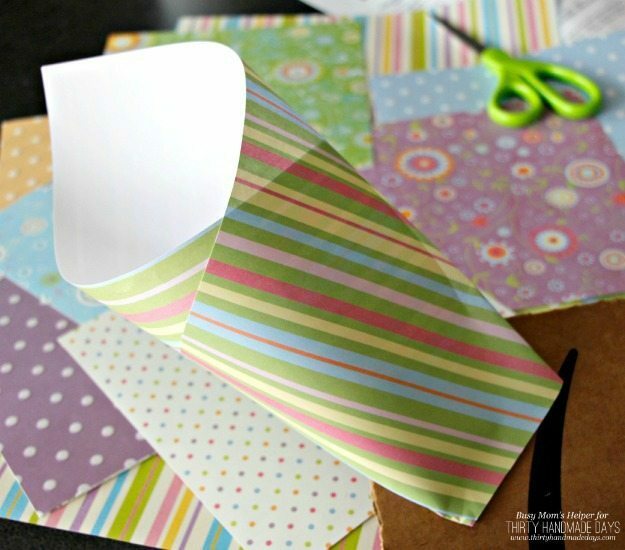 Use plenty of hot glue to secure your centerpiece and allow it all to set. 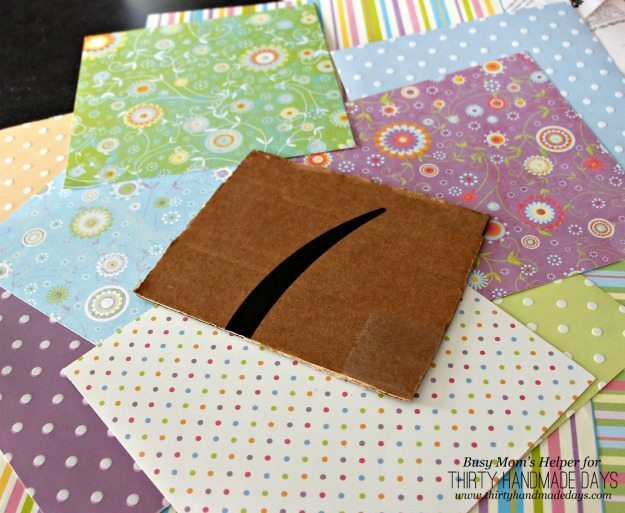 Glue a piece of ribbon to the back of the cardboard and hang for everyone to see! Again, make sure your grass is secured in the cones really well. It was really windy the other day, and I lost some of mine….check out this pic with it blowing away (left side)! 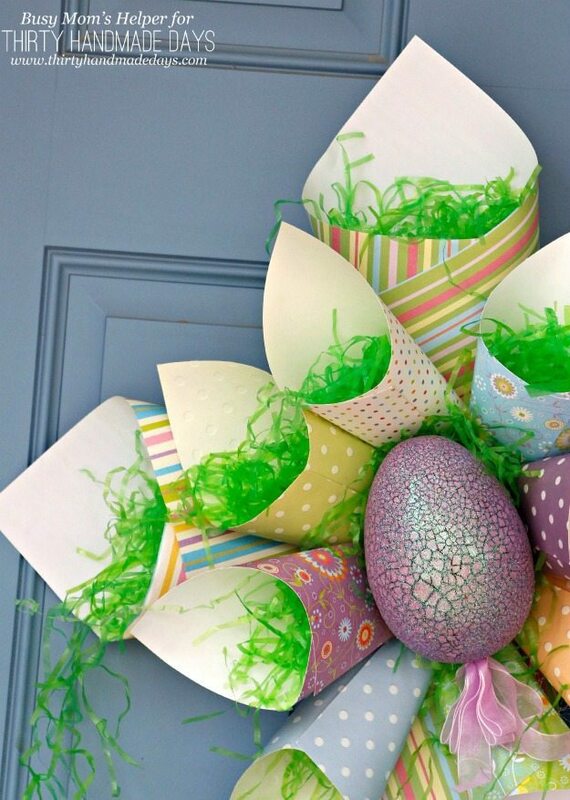 What would YOU choose for a fun Easter or Spring centerpiece to your wreath?